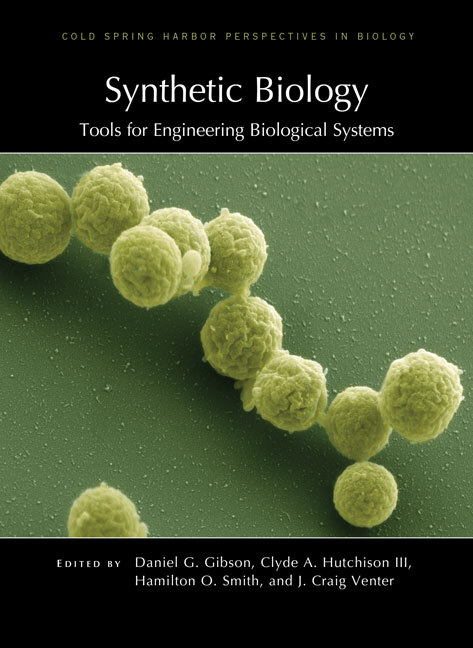 Cold Spring Harbor, NY -- Cold Spring Harbor Laboratory Press (CSHLP) today announced the release of Synthetic Biology: Tools for Engineering Biological Systems, available on its website in hardcover and eBook formats. Synthetic biology involves the rational design and construction of biological components and systems--from genetic elements and metabolic pathways to entirely new organisms. Progress in this field has been rapid, and it promises to significantly expand our capabilities in biotechnology, medicine, and agriculture. Written and edited by experts in the field, this collection from Cold Spring Harbor Perspectives in Biology examines the tools and techniques employed by synthetic biologists, how these may be used to develop new drugs, diagnostic approaches, food sources, and clean energy, and what the field of synthetic biology has taught us about natural living systems. The contributors discuss advances in DNA synthesis and assembly, genome editing (e.g., CRISPR-Cas9), and artificial genetic systems. Progress in designing complex genetic switches and circuits, expanding the genetic code, modifying cellular organization, producing proteins using cell-free systems, and developing biodesign automation tools is also covered. The authors also explore ways to produce new organisms and products that have particular attributes--for example, microbial "molecular factories," synthetic organs and tissues, and plants with novel traits. This volume is an essential resource for molecular, cell, and systems biologists who seek to engineer living systems for human benefit. To access free samples from Synthetic Biology: Tools for Engineering Biological Systems, or for more information on this title, please visit our website. IMAGE: TSynthetic Mycoplasma bacteria. Colored scanning electron micrograph of M. mycoides JCVI-syn1.0 cells. This was the first self-replicating bacterium controlled by a synthetic genome. It was developed by scientists at the J. Craig Venter Institute and announced in May 2010. To produce the cells, a genome based on the M. mycoides genome was synthesized and inserted into a M. capricolum shell that had had its genetic material removed. Magnification: 38,000x when printed at 10cm across. Thomas Deerinck and Mark Ellisman, National Center for Microscopy and Imaging Research (NCMIR), and John Glass and J. Craig Venter, J. Craig Venter Institute.